My sweet baby is turning four this weekend. What?! Where on Earth did the time go? He's moved on from Dinosaur Train to Batman. 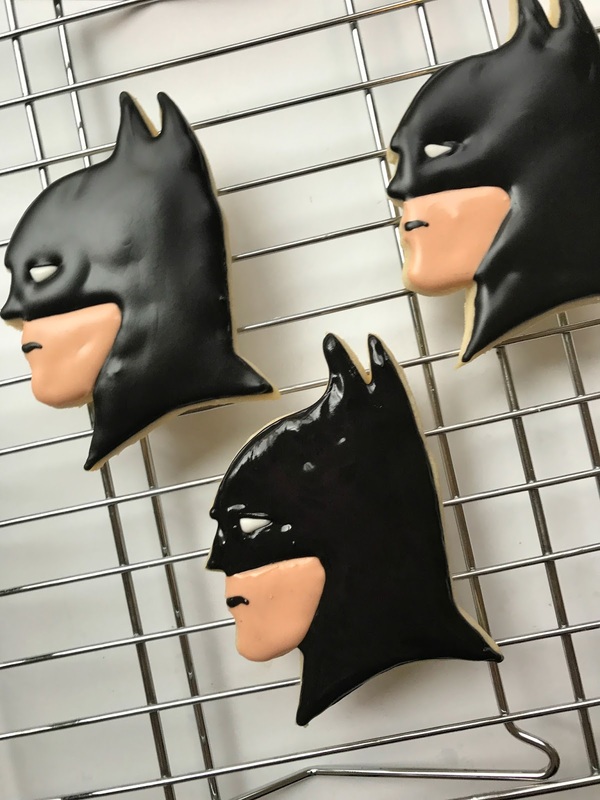 Na, na, na, na Batman! He loves the Lego Batman and he loves flying around the house in his Batman cape. 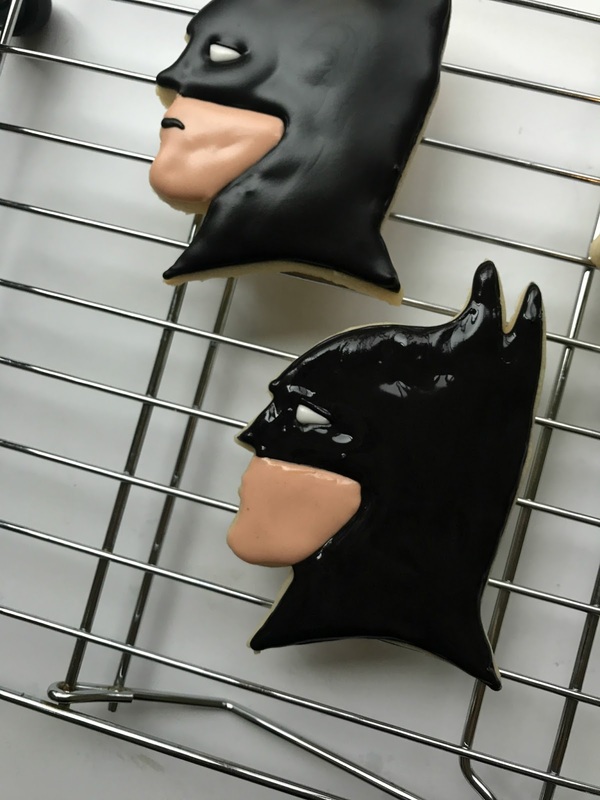 I've been busy making Batman decorated cookies and fondant covered cupcakes. This Batman profile decorated cookie is so easy and guaranteed to make your wee super hero squeal with delight! 1. The first thing you need to do is pipe a small white triangle for the mask eye. 2. 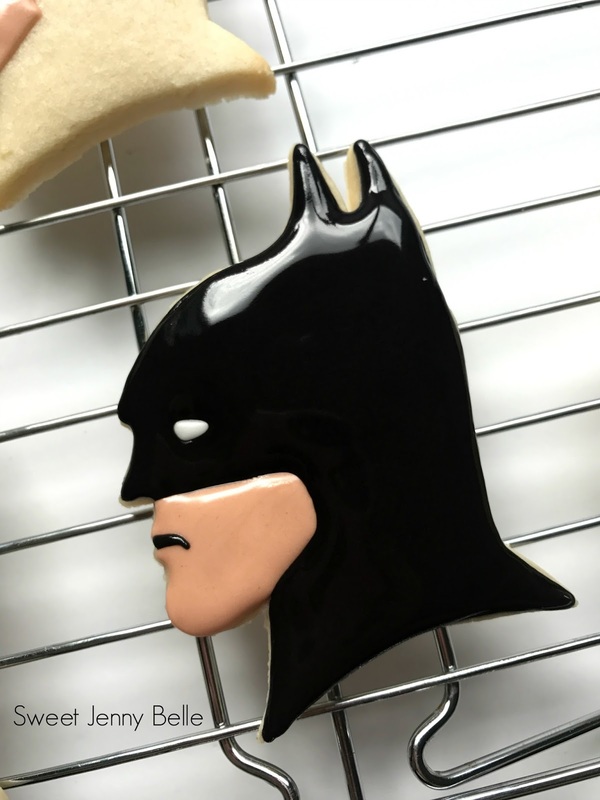 Flood the bottom of Batman's face with a peachy flesh; I used a mix of Americolor Ivory and Peach to create his skin. 3. Flood the remainder of the cookie in black, take some time to smooth it out with a cookie scribe or toothpick. 4. Pipe a small line of black between Batman's lips. 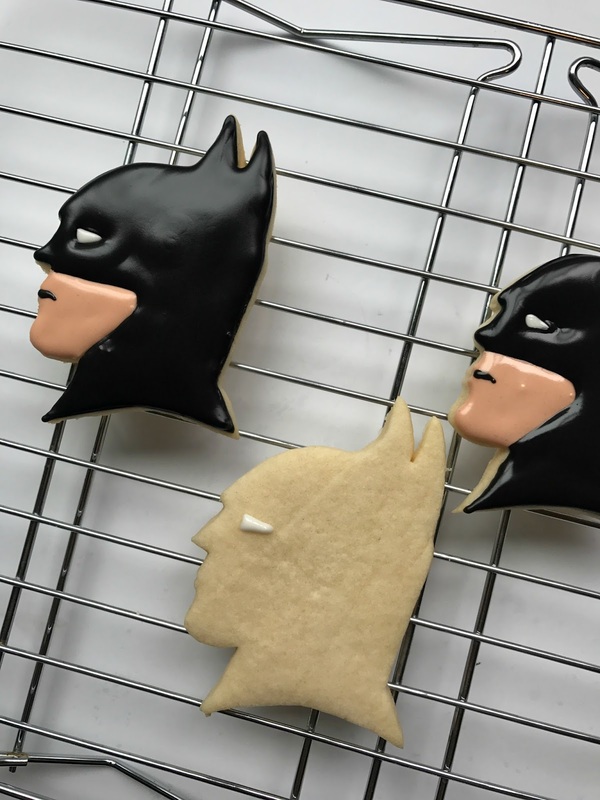 Use your cookie scribe or toothpick to draw it out more and down to create his moody frown. 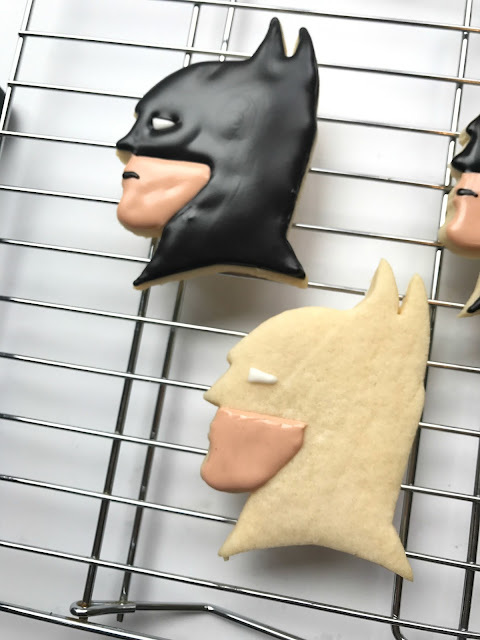 Want to see a video of how I created these easy, moody Batman cookies? Just click the video above to watch. I only work in black.. and sometimes very, very dark grey. Happy Birthday my sweet little boy! I don't know where the time went, but you make our lives full of laughter, love and cars under my toes. 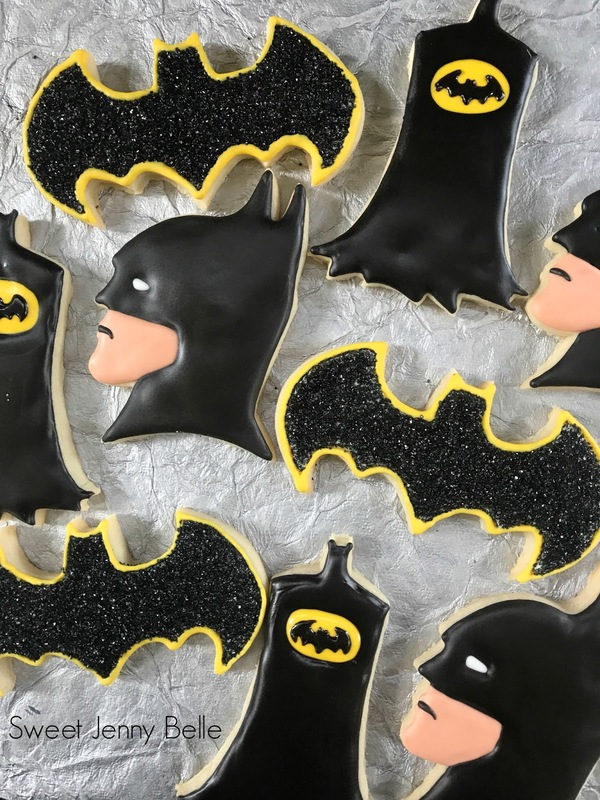 Can you tell me what size cookie cutters you normally use and where can I find your sugar cookie recipe?